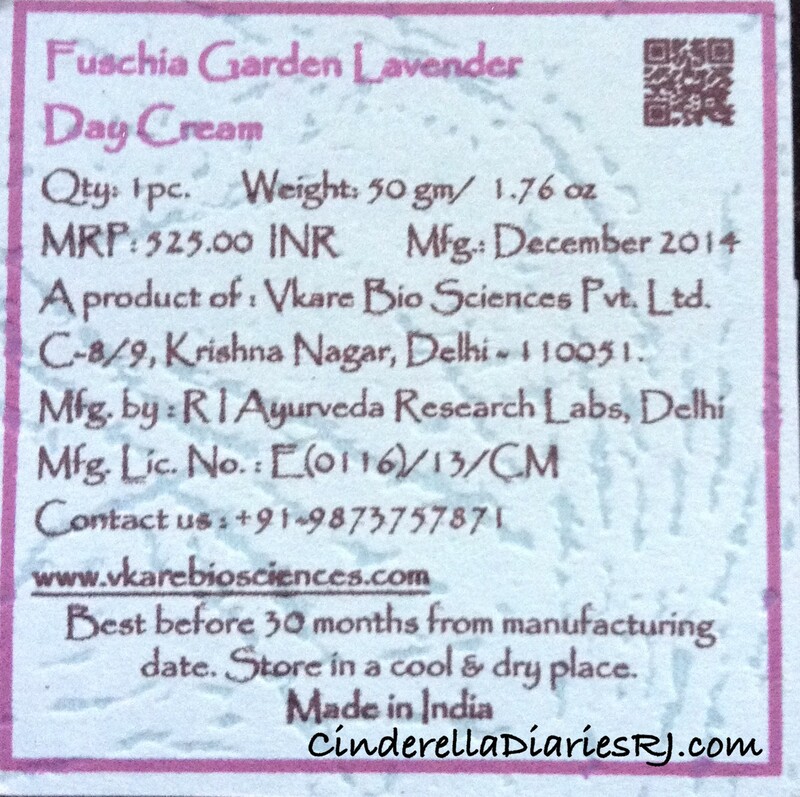 About Fuschia : Fuschia is an Indian brand by Vkare Bio Sciences. They make natural & handmade products which are free from harsh chemicals like Parabens, Synthetic fragrances, & SLS . 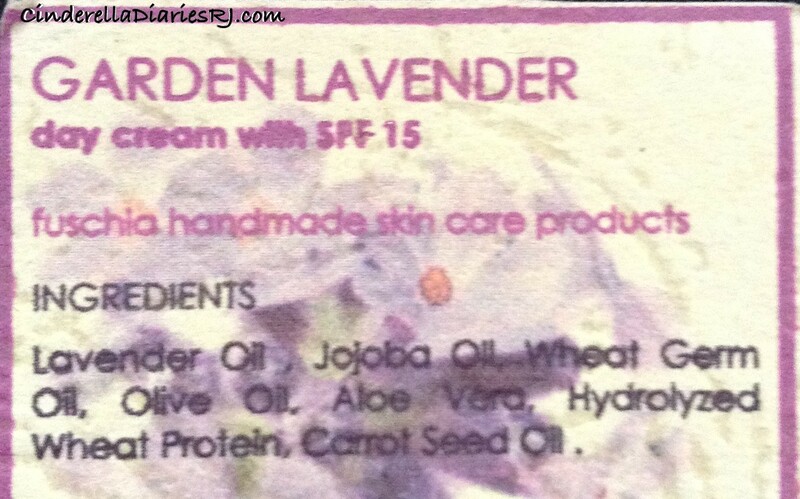 Infused with 100% vegetarian & natural ingredients which rejuvenate & keep your skin supple, light & radiant. 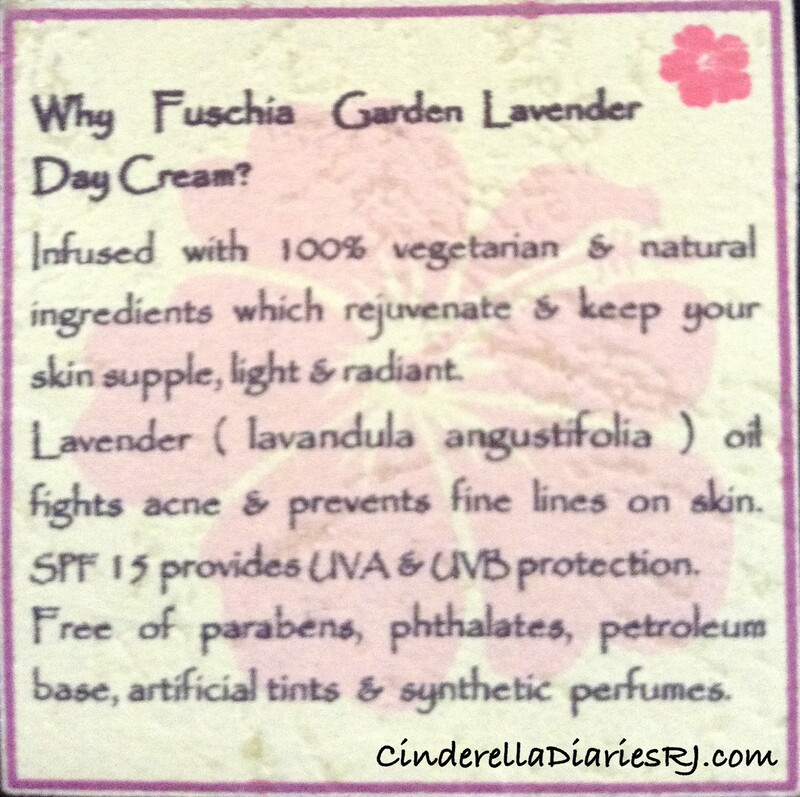 Lavender (lavandula angustifolia) oil fights acne & prevents fine lines on skin. SPF 15 provides UVA & UVB protection. Free of parabens, phthalates, petroleum base, artificial tints & synthetic perfumes. Day cream contains moisturizing elements that keeps your skin hydrated and nourished. You in turn are rewarded with a soft and supple skin. Pollution and exposure to the rays of the sun often extracts the natural moisturizing elements of the skin. As a result you are left with dry and lifeless looking skin. 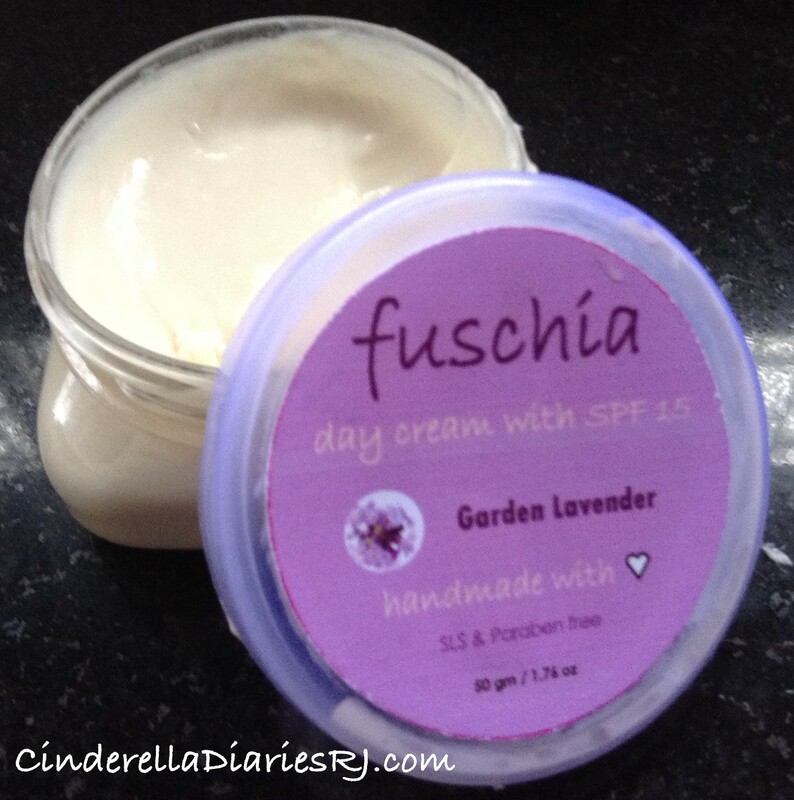 For a healthy and refreshing look choose Fuschia – Garden Lavender Day Cream with SPF 15. This comes with optimum quantity of PH value that helps to maintain your skin’s PH levels. 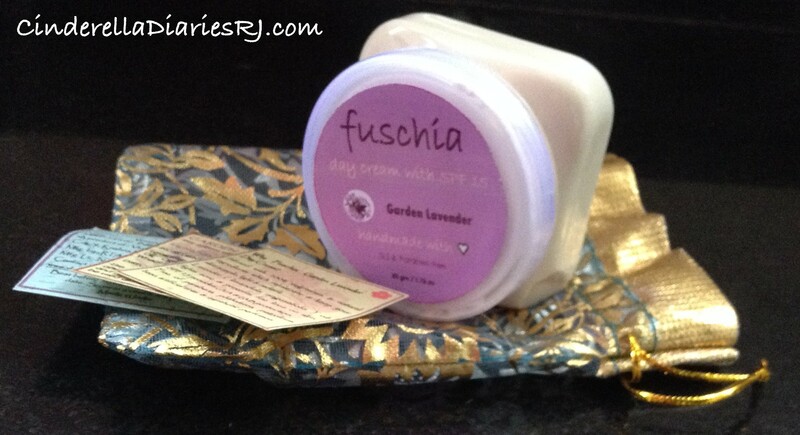 Fuschia day cream is also an excellent base for makeup. It is best to apply day cream on well cleansed skin, preferably after a bath. Apply the day cream on your face and neck with the help of gentle circular motions. Lavender oil, Jojoba oil, Wheat Germ oil, Olive oil, Aloe vera, carrot seed oil and hydrolysed wheat proteins. Use every morning prior to sun exposure after cleansing. 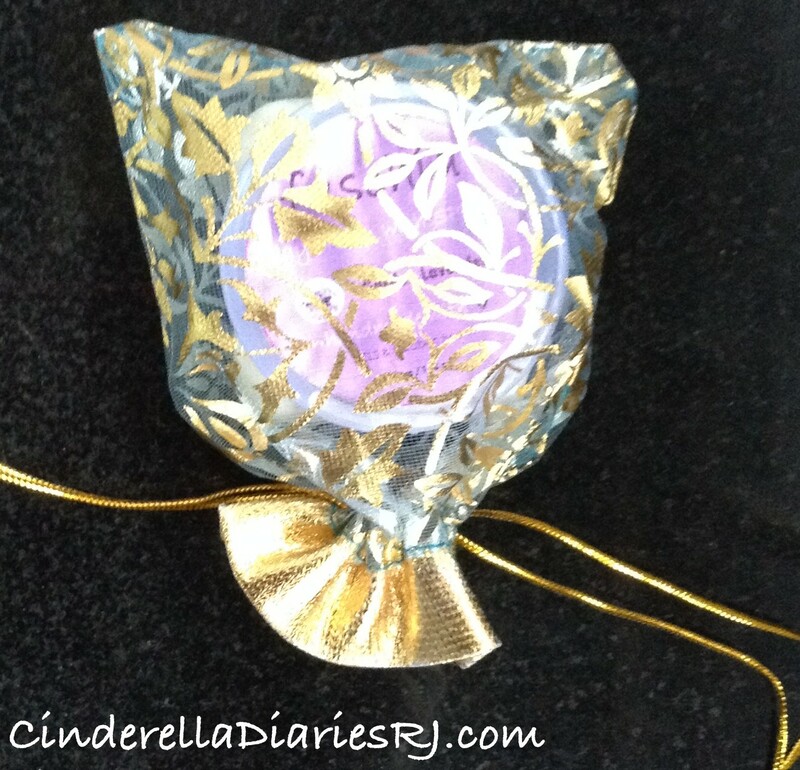 Smooth gently onto face and neck until thoroughly absorbed. Can be used alone or under the makeup. 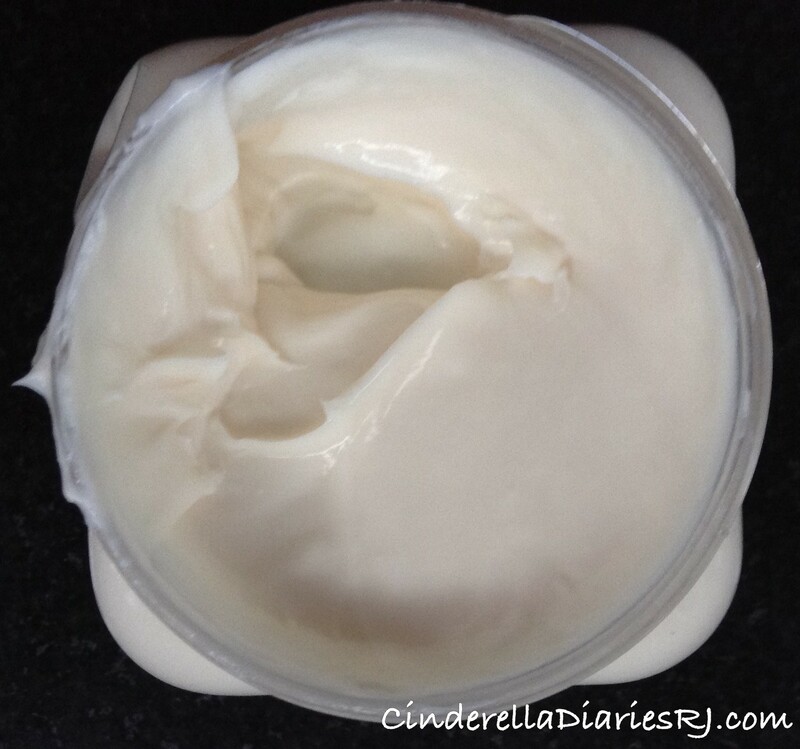 Ideal as a pre-foundation moisturiser. Best results for people with Dry skin. 100% vegetarian, Contains Natural ingredients. Feels a bit sweaty when i apply. Fragrance might be a problem.